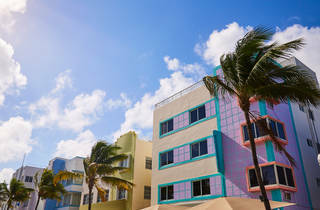 More than 800 buildings from the 1930s and early ’40s survive in the city’s historic Deco District, between 5th Street to the south and Dade Boulevard to the north. 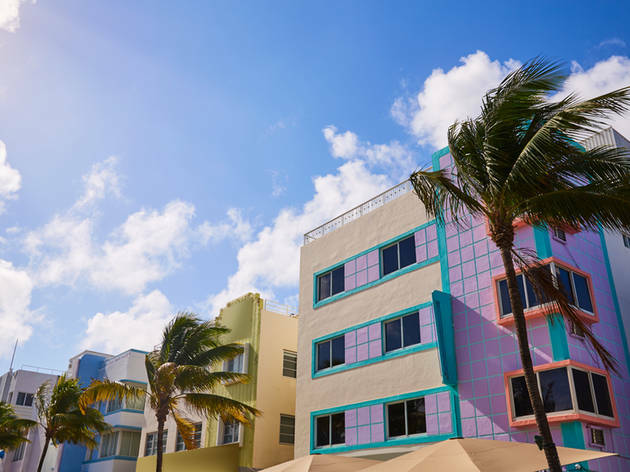 The Art Deco District Welcome Center is run by the MPDL, which first sprang into action when it tried to save two blocks of Ocean Drive, from 12th to 14th Streets. Guided deco walking tours 10.30am daily except Monday and Thursday; Thursday evening tours 6.30pm ($20; $15 reductions). Self-guided audio tours 10am to 4pm ($15). Open 10am-7pm daily. Bus C, H, K, W, South Beach Local.